The Paul Sartori was especially successful with families in 2018 and it also encouraged riders to take part who were recovering from illness or who wanted to experience the event but had felt it might be too advanced for them. The Lloyd Motors Volvo route provides riders with the chance to climb the highest point in Pembrokeshire, making it a true classic. Bullfinch Cycles hand-build their frames and bikes in Coventry and their route really suits the superb comfort and performance their craftsmanship achieves. 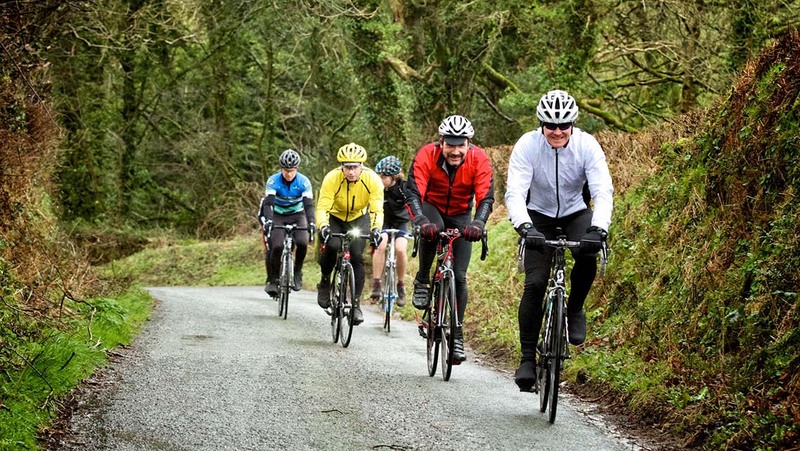 The Paul Ties route is regarded as one of the toughest and most enjoyable sportive rides in the UK, it is always the best attended. To help everyone feel included in the weekend and throughout the season, riders and their family and friends can also enjoy Pembrokeshire from the water, with our adventure partners; Preseli Venture provide wonderful coasteering, sea-kayaking or surfing experiences and Falcon Boats will take you on a wildlife trip that will be a memorable highlight of your visit.